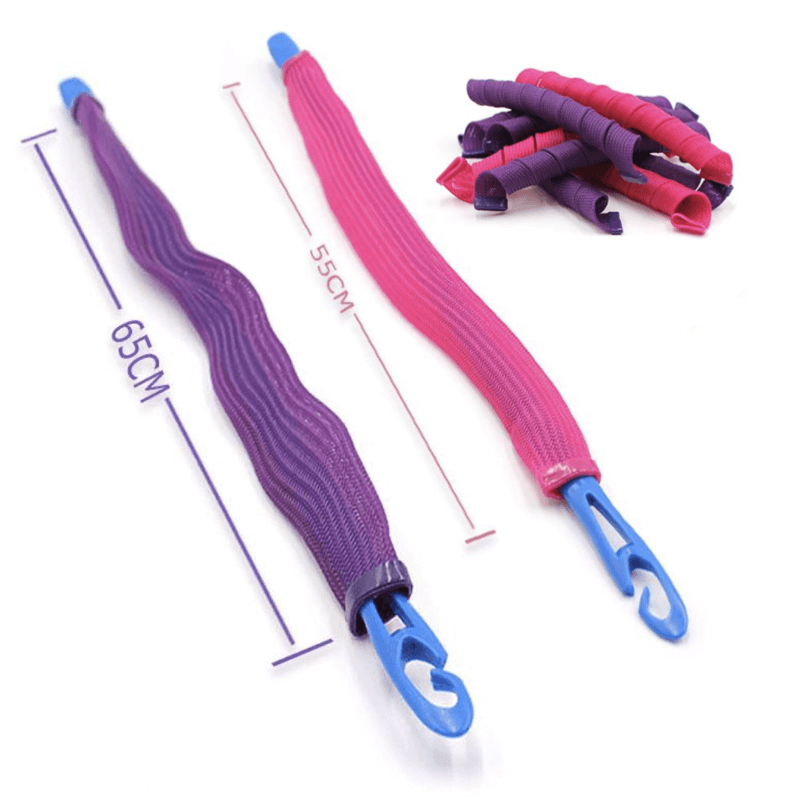 The Magic Boucles Hairstyling System is an all-natural, unique, revolutionary, easier way to curl any type of hair and will allow you to get an amazing curly hairstyle without the need to use damaging chemicals, curly irons or damaging heat. 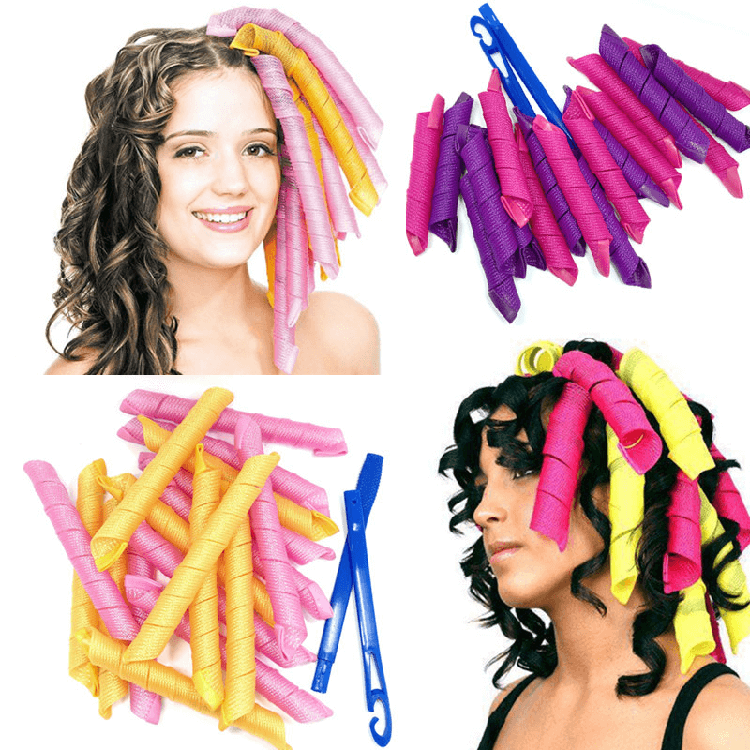 These magic rollers can create the fashionable curls you always want without damaging your beautiful hair. Please select the size that best suits you according to the length of your hair. 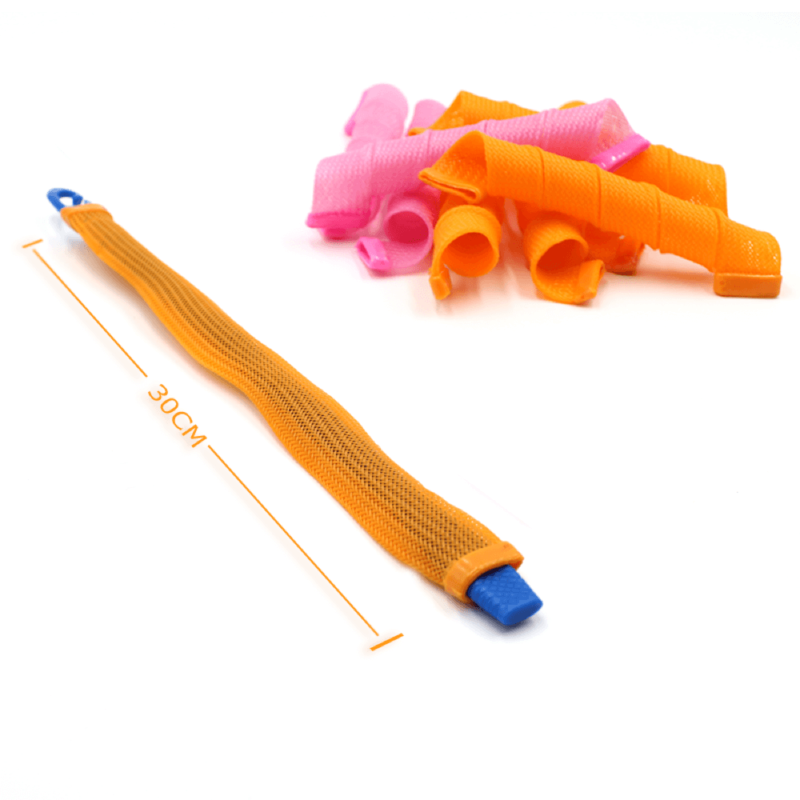 * 30cm—for hair up to 12 inches. * 40cm—for hair up to 16 inches. * 55cm—for hair up to 22 inches. Our MAGIC BOUCLES works great on wet hair, with no need for styling products. Just Zip, Slip and WOW!!! Insert wand through one Magic Boucle. 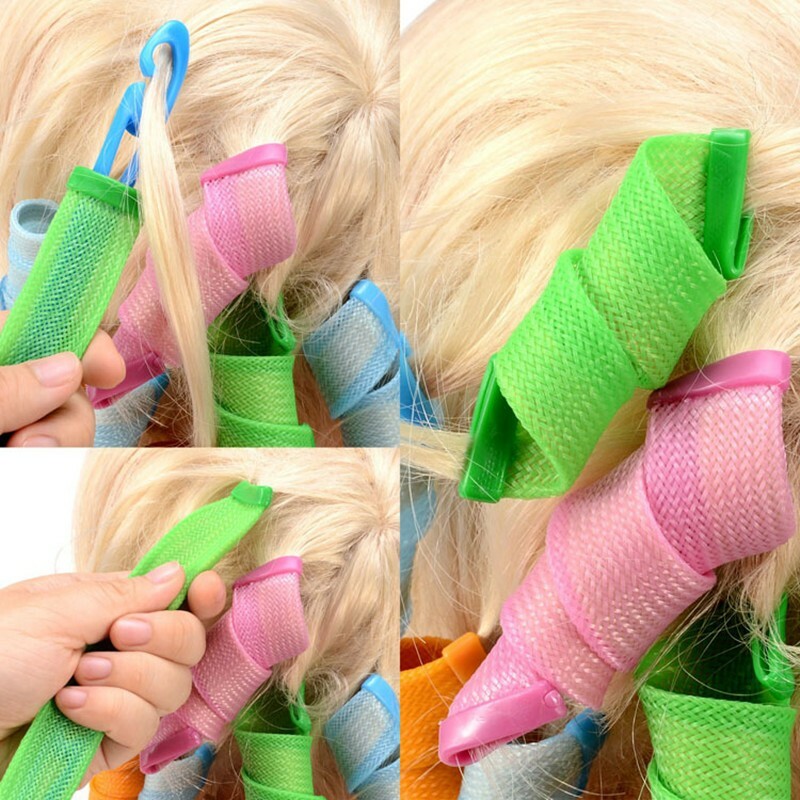 Take a small section of hair and hook the hair wand onto the hair strand. Holding your hair and the wand in one hand, use your other hand to push the curler onto the hair strand (about 3 cm). Simply pull the wand from the other end and repeat. Now you can let your hair dry naturally or blow dry it. MAGIC BOUCLES will protect your hair against any heat damage. Make sure your hair is completely dry before removing curlers to lock in the waves. 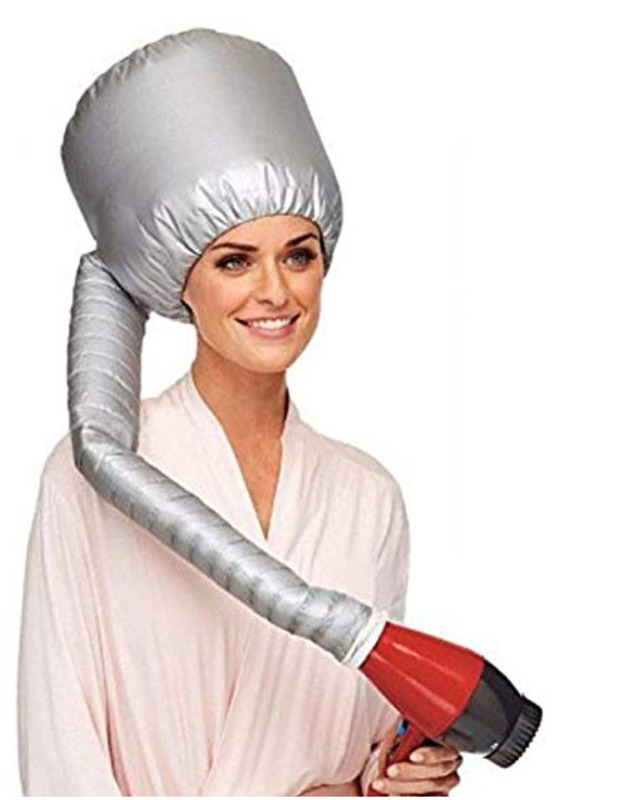 To remove your Magic curlers just hold your hair with one hand and simply slip the curlers off (holding onto the rubberized tip). Enjoy your waves!!! The great thing about MAGIC BOUCLES is that you can wake up with a bed head and instantly transform your hair into great, gorgeus, curls. Spritz your hair with your favorite styling spray or water. If you have any question CONTACT US .